Lush, dark green coastal rainforest surround the urban wonderland that is Seattle, and this is the main reason it has been dubbed “The Emerald City”. However, this beautiful city is green for another reason, and that is the healthy, organic experience you can find there. From a hotel with a bright green grass roof to the well-known Pike Place Market where you can select flowers, local produce, locally caught seafood, and other lovely choices, Seattle has a lot to offer environmentally conscious visitors. 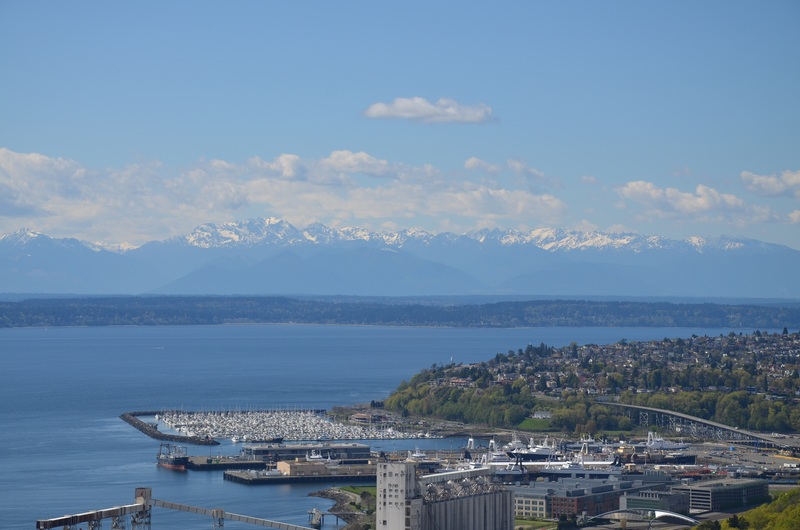 Located on an isthmus with Puget Sound on one side and Lake Washington on the other, the scenery is astonishingly beautiful in any direction and the city is a great place to spend a few days. Fresh seafood from the surrounding waters, locally produced wines and brews, fresh cheeses, bakeries highlighting local ingredients and restaurateurs focused on farm-to-table cuisine combine to create an idyllic organic foodie’s paradise. When you arrive at Sea-Tac airport, you can grab a cab or any manner of public transportation, but the ideal way to arrive at your destination in style is to arrange a limousine with Bayview Limousine Service. They not only gave us a great ride to the hotel, our driver also expended a lot of effort locating us in the airport as we apparently blithely walked right past where we were supposed to meet him where he was standing and holding up a sign with our name. He kindly never complained but instead escorted us to the limo, insisting on taking most of our luggage, and then presented us with cold bottles of water and bags of chocolates. A limo might seem like a big extravagance but we have learned that cabs are so incredibly expensive to take from the airport in a big city (we were shocked to pay $75 for a cab in Niagara Falls) that the convenience of a private and comfortable limo is usually not much more and well worth it. Bayview was completely professional and our driver dropped us off right at the door of our hotel, even making sure he let us off at the area of the check-in desk where there were no stairs so it would be easier to manage our luggage. The Hyatt at Olive 8 is the hotel with the green grass roof mentioned previously. Located within easy walking distance of Pike Place Market and downtown shops and restaurants, it’s a convenient place to stay in the city. Not only is it convenient, however, it’s a gorgeous, modern hotel with plenty of green options — like turning the power on in your room by inserting your room key into a slot. My husband and I have not seen this in any hotels other than those in Europe, but it’s a great energy-saving option. The Hyatt at Olive 8. We may have had our impression of this luxury hotel slightly skewed by the fact that we stayed in the jaw-dropping, 1,600-square-foot Presidential suite during our stay and will probably never have quite such a luxury experience in all our travels. With two dining areas, a small but complete kitchen, a living room with a gas fireplace, an office complete with a computer, a lovely bedroom with a king-size bed, two bathrooms (one which actually had a small television mounted in the wall mirror) and a walk-closet that was as large as many big city hotel rooms, it was the most amazing suite we have ever experienced. Huge floor to ceiling windows added to the ambience by providing incredible views of the city in every direction. Technically, this suite is probably most often used by organizations having conferences in the hotel, as it was obviously too large for only two people, but we still enjoyed every second of our stay. Not only was the suite fabulous in every way, it was also environmentally friendly, just like the rest of this LEED certified hotel. 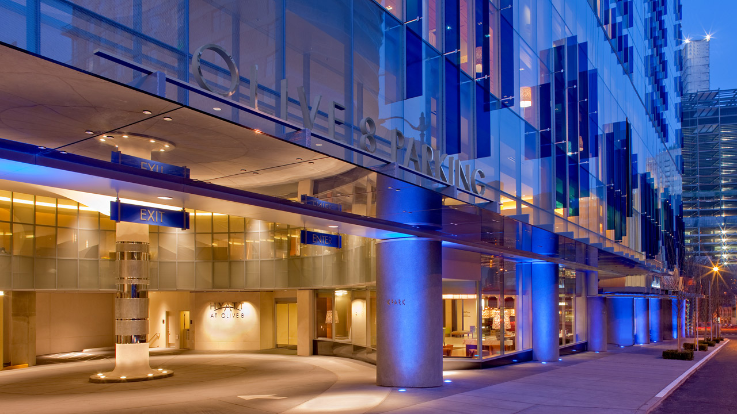 The first hotel in Seattle to be LEED certified and the first of the Hyatt Corporation hotels, the Hyatt at Olive 8 has an assortment of energy and water saving options, which include the option to turn off the power when you leave your room. The hotel is equipped with dual flush toilets, which use much less water than traditional toilets, uses plenty of natural light to conserve energy and even has in-room recycling containers. The hotel is also beautifully designed with a contemporary atmosphere which includes plenty of open areas, large windows, and a bright, airy feel. 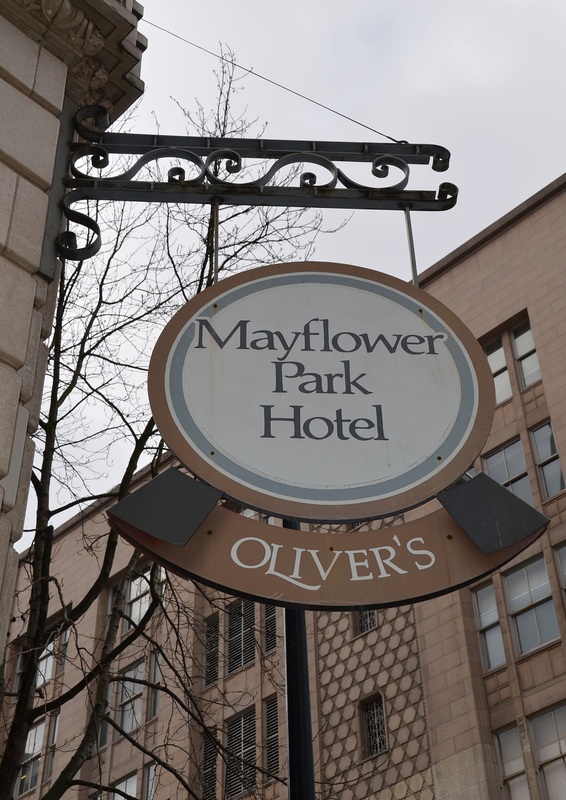 Another option during your Seattle visit is a stay at the beautiful and historic Mayflower Park Hotel. The Deluxe Queen Suite is a luxurious expanse which includes two bathrooms, a very nice bedroom with two queen beds, a living room with a television, luxury robes, free Wi-Fi and a flat screen television in the bedroom. Before you even arrive at your suite, you will be impressed by the beauty of the sumptuously decorated lobby as you walk through the glass and brass doors of the hotel. Complete with a fireplace and cozy seating, the lobby is a great introduction to one of the city’s finest hotels. Built in 1927, the hotel is still locally owned and an important part of the Seattle downtown area. An entryway leads directly to the Westlake Center, a mall with plenty of shops, restaurants, and a tram stop for the tram which runs directly to the iconic Space Needle. One of the best things among the many wonderful pluses of staying at the Mayflower Park Hotel is the fact that it is less than a block from one of the best spas we have ever experienced. The locally owned Ummelina International Day Spa is just a short walk down Fourth Avenue but a world away from busy downtown Seattle. Step through the door, go up the stairs and enter that fragrant spa environment which always makes me take a deep breath and begin relaxing. Journey Solo or Duo…On this odyssey, relax under a true waterfall and receive the natural healing and restorative properties of the flowing water. Move your body to receive the water’s healing forces. The scents of nature surround you and the water washes away all stress. Leaving the Waterfall behind, journey into the warm, moist environment of the steamy Rain Forest. While relaxing under a canopy of gentle rain, surrender to the pleasure of an exfoliating salt rub followed by a luxuriating water massage. Pause in a comfortable lounger for a brief rest before continuing your journey. Arrive in the Desert, where dry heat enfolds you as warm oils and muds from around the world are applied to your body. You lie basking as if in the warmth of the meridian sun. Ummelina is truly a fascinating place to visit. Using both new and ancient healing rituals gathered from all over the globe combined with state of the art spa equipment, the massage therapists spent three hours making sure we enjoyed every single minute. All the spa’s therapies are shaped by the natural environment and the philosophy that for centuries, indigenous people listened to the earth and used its riches as part of their lives. This philosophy helps restore health and promotes a balance between the individual and the environment. First, we changed clothes in the beautifully decorated locker room. In our robes, we settled into the waiting room area which was comfortable and sun-lit, with chairs made for relaxing and plenty of stools to rest your feet on. I was surprised and delighted when a spa employee came into the waiting area, softly introduced herself and proceeded to pour hot water into a basin where she gently washed our feet. A calming and relaxing ritual, it’s something they do for all their guests and we loved it. From there, we proceeded to a room with a large, low tub and an elaborate faucet on the wall which, when turned on, created a warm, miniature waterfall which we both loved. After relaxing in the waterfall for a while, we adjourned to the Rain Forest room where we took turns having a salt scrub, then relaxing as overhead faucets gently rained warm water down on our back, rinsing off the salt and leaving our skin baby-soft. Our last stop was in the tropical Desert where the heat had been turned up and we were each treated to different oils and muds applied to our bodies, then allowed to dry and harden to draw out toxins and make our skin even softer. We returned to the waterfall room to rinse off and cool down, then it was sadly time to go. We didn’t make time to visit their Tea Spa which I regret because it is something truly unique and I was very interested. They offer a variety of events and ceremonies for different groups and they also offer specially blended teas for sale. The spa uses over 250 organic herbs to create teas formulated for their medicinal value, a practice used for hundreds of years. Seattle is sublimely focused on their local organic and fresh culinary offerings. Experience some of the best culinary offerings in the city by spending an afternoon on a guided culinary walking tour with Savor Seattle Food Tours. 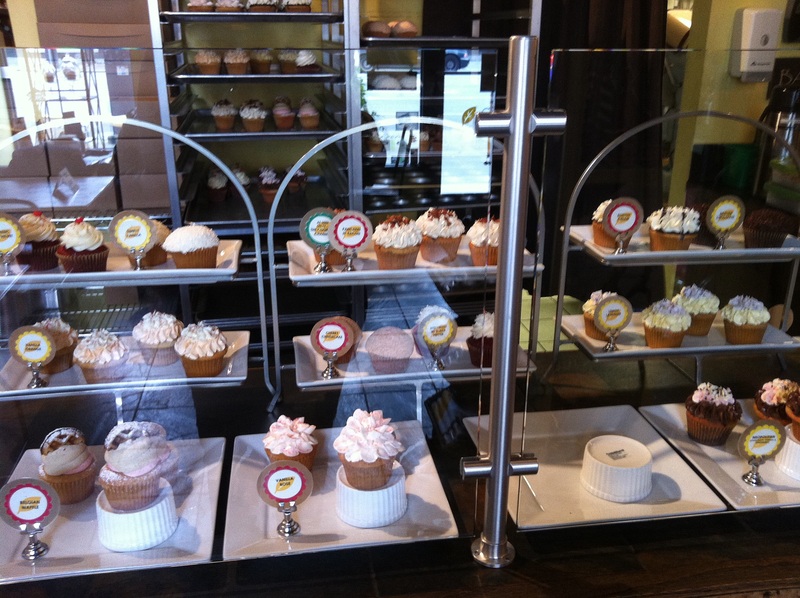 Starting at The Yellow Leaf Cupcake Company where you can choose a swoon-worthy Pancakes ‘n’ Bacon cupcake, you’ll make your way through offerings as diverse as freshly made pizza from Serious Pie and locally produced brews at the Pike Brewing Company. Stroll along with the guidance of a charming, friendly and knowledgeable guide and it’s the perfect introduction to local foods. One of the most important ways Seattle has been going “green” for years is that tourist destination: the Pike Place Market. Not only is the market a tourist destination, for years, it has served as a great example of the farm-to-table concept, allowing you to buy directly from farmers. Pick up freshly caught fish, grass-fed beef, fruits and vegetables picked hours earlier and bakery products created from healthy, locally sourced ingredients. It’s the perfect introduction to local foods. 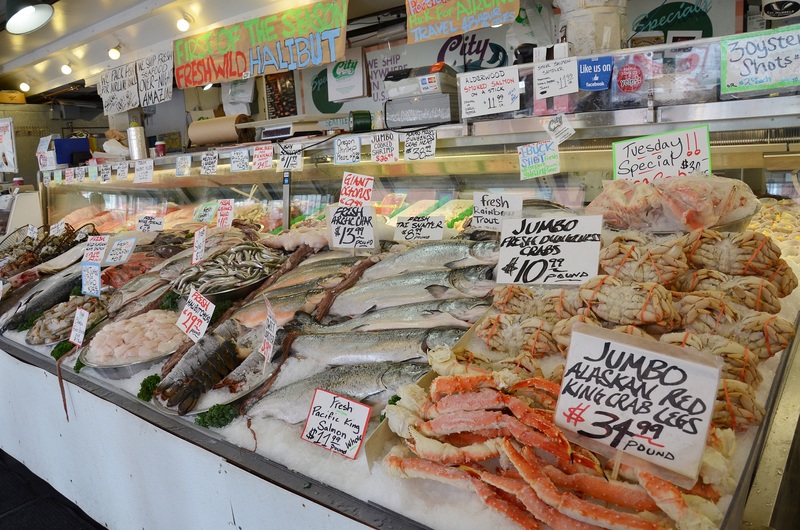 After tasting a wide variety of culinary offerings on the foodie tour, you will want to spend some time trying what the many great restaurants in Seattle have to offer as well. Urbane is located in the Hyatt at Olive 8,so it’s not only convenient to visit during your stay, they have some of the best food that we ate during the entire time we were in Seattle. Specializing in Northwest cuisine, Executive Chef Greg Lopez says “Good food depends on good ingredients.” He works with farmers across Washington and the Pacific Northwest who are dedicated to sustainable growing techniques and bringing the best possible product to market; this is definitely reflected in the menu, which changes seasonally. 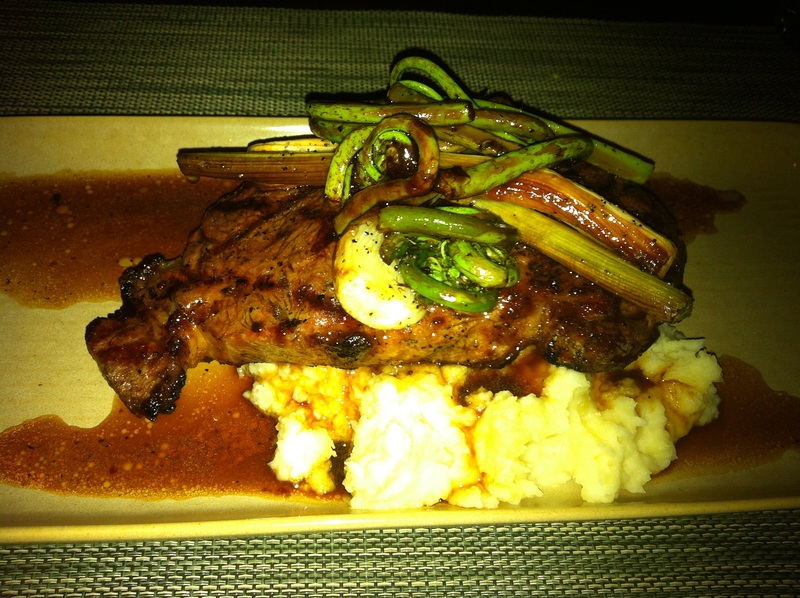 Try the rib eye steak with locally sourced fiddle-head ferns and you won’t be sorry. Andaluca is located right off the lobby of the Mayflower Hotel so it’s also a convenient spot for dinner if you are staying at the hotel. It’s a very popular spot for locals and hotel guests alike. With a Mediterranean influence evident in the mahogany mill work and hand painted murals, Andaluca offers seasonal salads, Northwest specialties and some fabulous local cheeses. Be sure to order a platter of them. Also try the fresh and delicious pear salad, the tender steak skewer and the crispy potato croquettes. 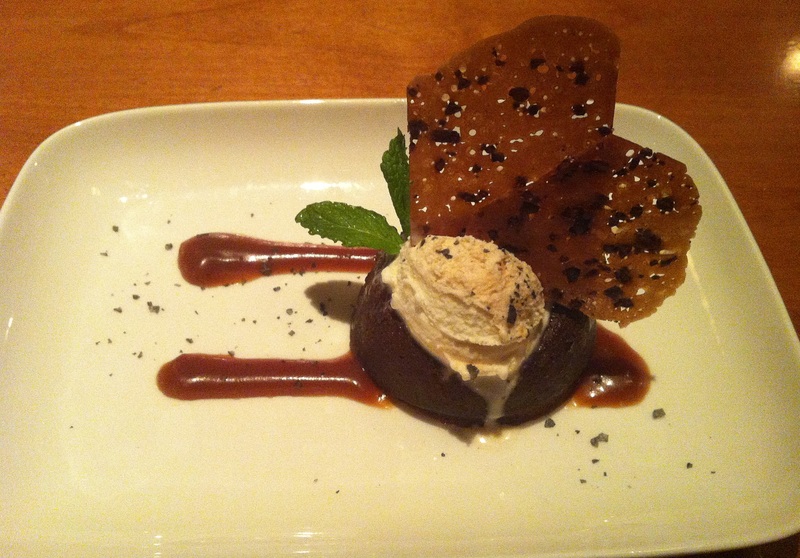 Then get the melting chocolate cake for dessert – even if you have to order it to go! Agrodolce is a casual trattoria hidden away in the Fremont neighborhood featuring handmade pasta inspired by Italy’s coastal cuisine and other delicious offerings, all made with organic and sustainable ingredients from the region. The restaurant is owned by Maria Hines, winner of the James Beard Award for best chef in the Northwest in 2009 and also the Iron Chef winner in 2010. The restaurant’s delicious focaccia bread, made fresh daily and served with imported virgin olive oil, will surprise you. Try the amazing cream of onion soup and one of the house’s homemade pastas. 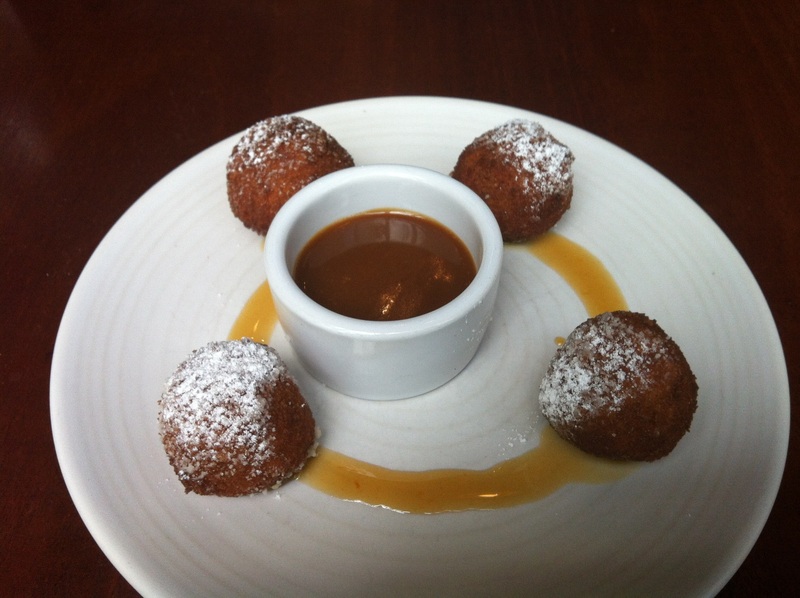 And don’t forget to save room for dessert as the rice pudding fritters are a must. Crispy and golden brown, they’re served with a scrumptious caramel sauce for dipping. After dinner, take a stroll around the artsy Fremont neighborhood, where you’ll find loads of interesting shops and cafes, some situated by beautiful Lake Union. 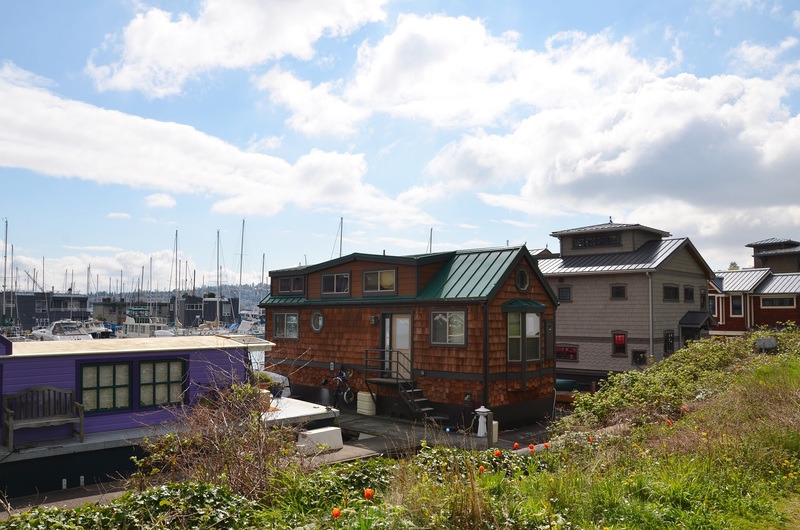 You’ll also spot plenty of houseboats moored in the lake, which inspired the movie Sleepless in Seattle. So, stay, relax and eat your way through the “Emerald City” and enjoy everything this green lovers’ paradise has to offer!